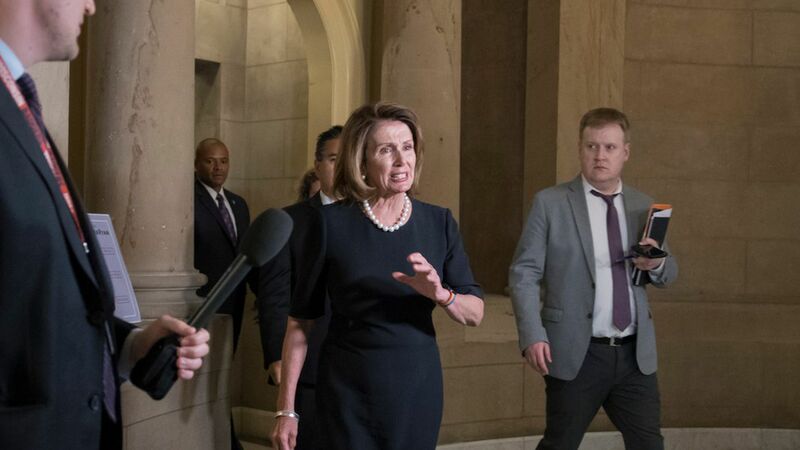 House Democratic Leader Nancy Pelosi told reporters she, Chuck Schumer, and Trump agreed Wednesday night "to a plan to work out an agreement to protect our nation's Dreamers from deportation." She added "we would review border security measures that do not include building a wall." On the DREAM Act and path to citizenship: When Pelosi was asked whether she had "no doubt" that she and Trump were on the same page that Dreamers be able to pursue citizenship through the DREAM Act, she shied away from answering explicitly yes or no. Instead, she emphasized "we agreed on our path." When asked if she trusts the President on this issue, she answered "Now is that a fair question?" Why it matters: There's no clear alignment between Trump and the Democratic demands on this issue — yet.